Baby 10 Months Old - Sleep Apnea and Baby Insect Bites! Greetings! This week your bundle of joy turns into a 10 months old baby and is spreading smiles each minute, each day. Now to add to those smiles, there are babbles and small words that are part of a primitive form of conversation. Your 10 month old baby behavior is taking shape and he has his own vocabulary ready and he begins to call water mum, boo or by some other word. He may look at you and say ma or pa. This is the beginning; gradually he will be able to say words, bigger words, sentences and so on. He can already understand a lot of things that you are saying but cannot follow instructions as yet. You can help and encourage your baby by talking to him and responding to his little words with a meaningful reply. Try to say the correct words when you talk to your baby 10 months old, refer to the bottle as a bottle rather than boo. This will teach him to say the correct words faster. When we are talking about communication there is one more aspect that will interest you. Your 10 month old baby can respond to a command but cannot understand the consequences of an act yet. So device something like a clap or a loud “no” to warn him of danger and gradually he will understand that it means not going there. It will help to differentiate safe from unsafe. By this time your baby 10 months old is sitting confidently and has begun standing by holding onto furniture. The next step is to cruise along the furniture. In this month you will see him take a step further. He will begin to leave one hand and see what happens and how well he can balance. Picking up a toy with one hand is one thing all babies do. Many babies walk early and they have taken their first steps by month 10 but walking all by himself will still take a month or two more. Do not get worried if your baby doesn’t walk yet because most babies begin to walk somewhere around their first birthday. This is a good time to begin some family rituals and functions that were part of your childhood days so that the kids can have memories of them and carry them on. Make their vacations special and family time fun. It really helps in the overall development of the children. You can choose what you want to do depending on how well your baby 10 months old adjusts to the travel or occasion. Feeding: 10 month old baby nutrition is slightly different as the teeth are coming on and the baby is curious to try newer foods. You can now make the mashups more coarse and the chunks of food bigger as your baby learns to chew. Meals for a 10 month old differ with each place. Asian diets will introduce the baby to pancakes and wheat breads around 10 months of age along with the conventional vegetable and fruits purees. You can give your baby food that is commercially available or even prepare it at home. If you are thinking what to feed my 10 month old baby. A lot of online recipes will come of help during this time. Sleep: Your baby has begun sleeping through the night and baby sleep 10 months is pretty much the beginning of longer hours of sleep. Your baby 10 months old could begin waking up at night to check if you are around and even cry if he cannot find you. Hold them tight and reassure them so they can fall back asleep. As your baby 10 months old gets bigger, carrying him around everywhere may get difficult. This is the time when your baby is mobile but not yet capable to move around on his own so you cannot leave him to walk outdoors. This means you need to carry him around everywhere. Use a stroller where ever possible or wear him. There are many baby wearing options available these days. You could choose a sarong wrap, a sling or a conventional baby carrier. If this is your second baby, then wearing the baby is the best solution to a lot of your problems as your hands will be free to attend to your demanding toddler. Carrying your baby 10 months old and walking could make you end up with a backache. So you need to take care of your back and posture. Here are a few tips. Always pick up your baby from the floor with your knees bent, rather than bending at the waist. When feeding your baby, use a back pillow to support the arch of the back and prevent back ache. If you have had a cesarean, do your back strengthening and core abdomen breathing exercises daily. If you need to walk a lot put the baby in the carrier so that you are not strained. Taking care of a baby on the move is a lot more difficult than those early weeks when your baby would eat sleep and poop. He would stay at one place and you could get some rest in bits and pieces. Now rest is a distant dream and your little one is all set to keep you on your toes. The time is such that you have to keep your guards up and be alert all the time- day and night. The best solution to this is to nap when your baby does. Steal a nap, leave the undone house work as it is and just hit the bed. It will refresh you and prevent you from getting frustrated by the end of the day from lack of sleep. If you have chosen to work and manage the baby with some help, you should remind yourself that you are doing a great job. It can be very stressful at times but not impossible. Choose a job that has flexible hours and the work pressure is not to high as you will get exhausted with working and a long night managing the baby. Have a good support system at home so that you can work in peace. You can also try work from home options and flexible hours at work. There are many work places that have crèches these days. It is the best thing that can happen as you can have your baby taken care of and work nicely. The fact that he is near you and taken care of will help you to perform better at work. Sleep apnea: Sleep apnea is a disorder in which the baby stops breathing for a few seconds while sleeping. 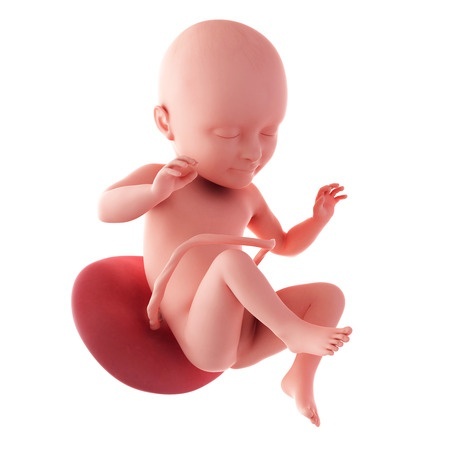 The condition is more commonly seen in premature babies and cerebral palsy patients. The commonest reasons behind this breathing disturbance are enlarged tonsils or adenoids, allergies, frequent illness, cleft palate or an underdeveloped nervous system. 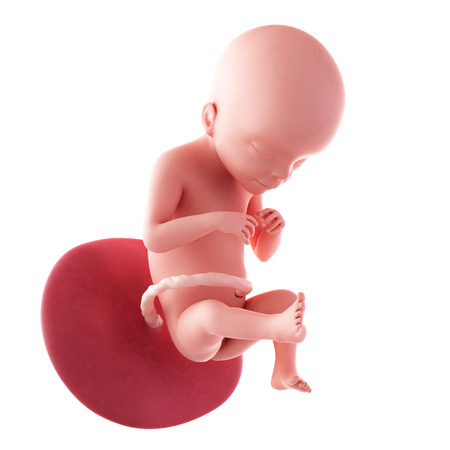 Such troubles will be associated with the baby showing a poor weight gain pattern. You can identify this problem is you notice the baby has sudden deep breathing with a gasp or is very restless and gasping at night in his sleep. You should get your baby examined if you notice any such symptoms by a throat specialist or a sleep expert if required. 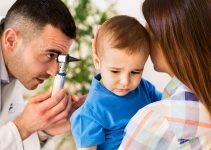 Insect bites: As you take your baby out in parks, it may happen that you encounter this problem. The first thing to do is to remove the stinger by scraping it off. Wash the area with lots of soap and water. The next thing to do is to apply ice pack to take care of the inflammation. If you notice any symptoms like fever, diarrhea or unusual swelling of the part, then see your doctor immediately. 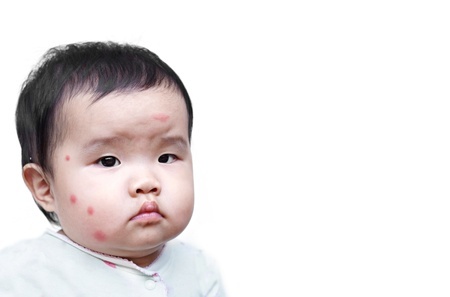 You can prevent such bites by applying baby safe repellent lotions or creams. They provide protection against mosquito bites. Medications for the baby: At present your baby is taking a daily dose of multivitamins, vitamin D3 and calcium. These supplements are needed for baby brain development will gradually be stopped by the doctor as your baby begins to eat well. Common colds and viral infections are seen in almost every child at some or the other time. Your doctor will offer symptomatic treatment and avoid giving antibiotics as they are effective only against bacterial infections and not viral ones. In case the infection is severe, your baby may need antibiotics but you should remember that you finish the entire set of the treatment. Leaving these medicines half way can lead to an imperfectly cured infection in the body of your baby 10 months old. Nature and temperament of my baby: Child development at 10 months is very interesting. As your baby grows, you begin noticing the minute details of his nature. Some babies are quiet, others are aggressive and easily excited. Yours could be quiet and slow or extremely active and jumping on the sofas all day. The baby’s temperament tends to change with changing situations as he is likely to be his normal best when he is around familiar people with a predictable routine. Holidays and functions may be exciting for us but babies tend to get overwhelmed with all the noise and change. This is not his permanent temperament and there will be a lot of changes in the coming months.